This wonderful Christmas holiday fantasy adventure serial was created and written by Glanville Heisch for children of all ages. It all happens to twins Judy and Jimmy before Christmas. Something has taken the "Silver Star" for their Christmas tree. The very Irish teddy bear, Paddy O'Cinnamon by name, comes to their aid and tells them that the Crazy Quilt Dragon has taken the star to Maybeland. So the three venture off to find their "Silver Star." The fifteen-minute episodes were first broadcast from the end of November right up 'till Christmas, and can still be enjoyed that way by the entire family. There are many fantasy characters in Maybeland, including a dragon, a giant, a witch, a whale, a queen, a rhyming rabbit, a magician, cowboys and indians, even pirates! Most of the characters are quite sophisticated, and are a listening joy for adults as well as children. Many well-known radio actors took the parts, including Howard McNear (Speed Gibson, Gunsmoke) and Gale Gordon (The Great Gildersleeve, Our Miss Brooks.) The central characters Judy was played beautifully by Barbara Jean Wong, and strangely, to this day, the boy who played Jimmy has not been identified, even by The Cinnamon Brigade, a group of loyal fans of this famous show. 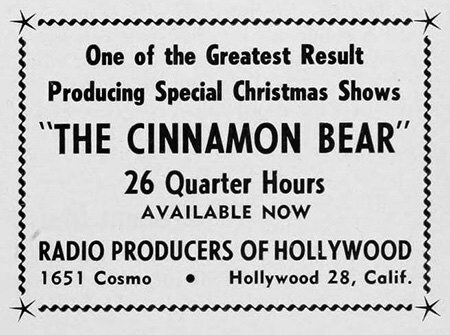 All considered, Cinnamon Bear is definitely a radio Christmas classic, and a superb example of radio's special dramatic art ability - to take the perfectly fantastic, and make it perfectly real in the imaginations of listeners of all ages. See also the Jump Jump and the Ice Queen, Jonathan Thomas and his Christmas on the Moon, Christmas Collection, Big , and Land of the Lost. 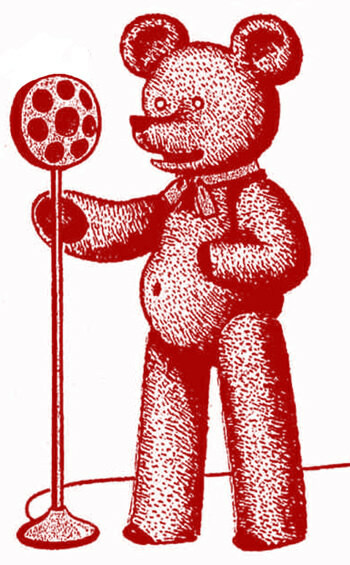 For older kids, there are many action-packed old time radio shows, some of them in the 15 minute serial format. A few are Air Adventures of Jimmy Allen, Speed Gibson, Cisco Kid, Captain Midnight, Superman, The Green Hornet, Sergeant Preston of the Yukon, and Space Patrol. Corny? OF COURSE it's corny - it's a Kid Show! But here's a key point about this show (and, for that matter, most kid radio shows): the story line is NOT Predictable! Modern media that is directed toward children is UTTERLY PREDICTABLE! According to media producers, "Whatever worked in such-n-such and again in so-n-so and again in this-n-that and previously in... [etc., etc., etc. ...] will obviously work again! And again! And again! And..." This is why media directed toward children is so awfully repetitive, most obviously by repeating catch phrases that drew attention in earlier kid media. Nothing original, just rehashed "humor" that was barely humorous in the original usage, and is decreasingly less humorous in every newer incarnation. However the Hook for children is that they recognize these phrases as something that they heard in earlier shows or movies. It might not have been funny then, but the laugh-track MADE it funny, so it's gotta be funny now, right? 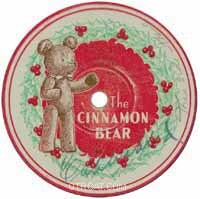 When my kids were little, I started them off with listening to The Cinnamon Bear.